Dr ANV Rao Gurukulam Program is a not-for-profit community program aiming to serve students around the community. Sunday tutoring program is open for K to 12 grade students. Sessions begin at 10 a.m. every Sunday from September through May, except for holidays, on the THIRD floor of Cooper Hall on the USF Tampa campus. Our dedicated volunteers will assist school students with the subjects like mathematics, sciences, reading and writing among others. Dr Rao Gurukulam Program strives to provide assistance for education for students of diverse ethnic, racial, cultural, and socioeconomic backgrounds. We are grateful to USF Faculty, Graduate, Undergraduate students those who stood forward for volunteering in our program. Krishna is a fourth-year student majoring in Cell and Molecular Biology. She is a Statistics peer leader for the Department of Mathematics and Statistics and the Academic Success Center in the USF library. She is passionate about contributing to the success of others and is grateful to have had opportunities to do so. 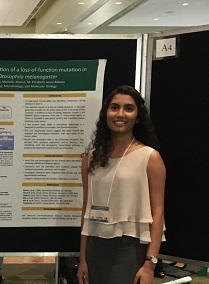 She is currently involved in undergraduate research, focused mainly on Genetics and Cell Biology. Her goal is to become a doctor. She is an artist who enjoys photography and working with watercolor, prismacolor and oil. 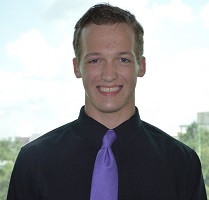 Jeremy is a second year Health Sciences Major with goals to enroll in a PhD program for physical therapy. He plays for the USF Menâ€™s Rugby team and interacting and helping people. He enjoys working with younger children and is extremely efficient is making them focus, learn, and have fun. He believes in helping those who need it in order to better prepare them for the future. He has been an active member of the program since 2015 and plans on continuing with it until he graduates. 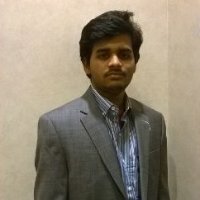 Venkat has a doctorate degree in Statistics from University of South Florida. He has a Masters' degree in Mathematics and Masters' degree in Statistics. Currently working as Visiting Instructor of Statistics at USF. He is serving as an active volunteer and assistant director for this program since August 2008. Since you can't go back to your past, get back to your work now. 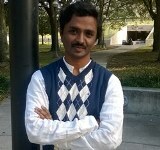 Veera, is a dual Masters degree holder from USF. He has a Masters degree in Mechanical Engineering and Masters degree in Engineering Management. He is currently looking for a full time job opportunity which fits best for his degree. He is actively volunteering since 2013. His goal is to reach a Highest Level position in his job and in life. 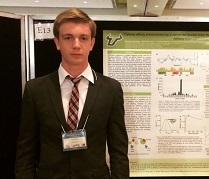 Stanislau Smirnou alias Stas, is currently enrolled as an undergraduate student majoring in Cell and Molecular Biology at the University of South Florida. He is planning to enroll in an MD/Ph.D. program in the future. He has been involved with research focusing on the dynamics of the tumor suppressor protein p53 and is currently working on the cell cycle regulation of Toxoplasma and Malaria parasites. He is also a Statistics Peer Leader for the Department of Mathematics and Statistics. He has been an active member of this organization since 2015 and greatly enjoys helping the younger students in our community achieve academic success. Art: Bhamidipalli Narasimha Murthy (BNIM), India. Design and Concept: Venkateswara Rao Mudunuru, USF, Tampa. Dr ANV Rao Gurukula is offering a free SAT training for school kids. Click on the image for more. 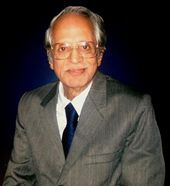 In his book "From Indians to Indian Americans" by Paul Guzzo, he mentions about Dr Rao as 'The Uncle'. Click the image for small extract from his book. You can purchase this book online for more info. Description: Mudras (Mudra (singular) -â€œmu-drahâ€�, meaning "mark", â€œsignâ€� or "gesture") play a major role in yogic practice from ancient days. They are believed to have some kind of influence on the energies of our body and mood. A Mudra is a symbolic gesture mostly seen in Hinduism and Buddhism. Some Mudras involve the entire body, most are performed with hands and fingers, in which energy and awareness are directed through the specific arrangement of our fingers. Mudra in our logo is an inspiration from Gyana Mudra. Gyana Mudra is a powerful Mudra which is in practice for thousands of years. Yoga practitioners (yogis) strongly believe that this Gyana Mudra brings inner peace and spiritual progress. Gyana Mudra is a practice in which one will touch the tip of their thumb to the tip of their index finger, keeping their other three fingers extended fully and then kept together. This gesture indicates teaching, intellectual argument, and debate, which is the very purpose of our organization. The thumb touching the index finger completes a circle of understanding. Variations of this Mudra include Abhaya Mudra, Dhyana Mudra. Education is the main key to gain knowledge and peace. In our logo, the globe in between the thumb and the index finger resembles that gaining the right knowledge through right education and right teachers can make this world a beautiful place to live. Aham Brahmasmi (Devanagari: à¤…à¤¹à¤‚ à¤¬à¥�à¤°à¤¹à¥�à¤® à¤…à¤¸à¥�à¤®à¤¿à¤¤à¤¿) on our logo is one of the four Sanskrit Mahavakyas meaning "I am Brahman" (Aham Brahman Asmi) or "I am the Infinite Reality". 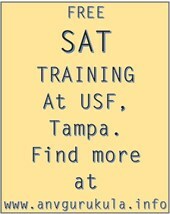 This summer 2016, take advantage of our FREE SAT training sessions held at USF, Tampa. Our organization aims in a one-stop destination for children to acquire academic skills with care. We believe that Math is the key for all competitive exams. Hence we are offering free Summer SAT training camp every Friday and Saturday starting from May 13, 2016 till June 11, 2016. Sessions will be held in USF Cooper Hall room 125. Every session is for 2 hours. The deadline to register is May 4th, 2016. "He could be referred to as the father of the Tampa Bay Indian community for his numerous contributions in building its foundation. But, those whose lives he has couched prefer to call him 'uncle'. Thousands of young Indian men and women still refer to the late A. N. V. Rao as uncle, a term of affection for the man who brought the youngsters in the Tampa Bay Indian community together, taught them about their roots, and turned them into a giant extended family." Dr ANV Rao Gurukulam Program is a not-for-profit community program aiming to serve students around the community. This program strives to provide assistance for education for students of diverse ethnic, racial, cultural, and socioeconomic backgrounds. This educational assistance is free for students. Our dedicated volunteers will assist school students with the subjects like mathematics, sciences, reading and writing among others. Sunday tutoring program is open for K to 12 grade students. 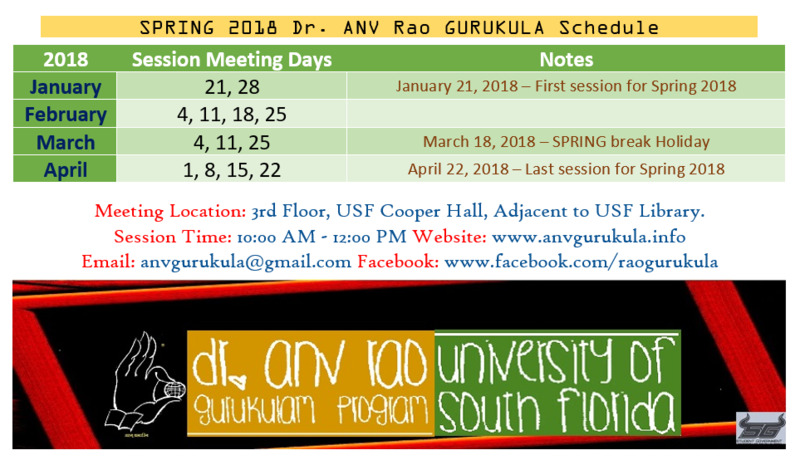 Sessions begin at 10 a.m. every Sunday from September through May, except for holidays, on the third floor of Cooper Hall on the USF Tampa campus.. Address: Cooper Hall, Third Floor, University of South Florida, Tampa.